When a young political activist disappears in London, an off-the-wall PI Karen Andersen is put on the case. She uncovers secrets of a party system which prizes loyalty above truth, a serial killer and a female Jihadi plotting deadly revenge on the British Government. Explosive Expose. A no-holds barred expose of dirty tricks in the Tory party, set against a background of violent Islamist jihad and major social change in contemporary Britain. With her personal experience of political campaigning and her involvement in an anti-bullying and other mental health charities, Burfitt-Dons writes with knowledge and conviction. ...This book is stunningly different from many thrillers I've read recently. There are several murders and a big finish. But using examples like the Kurdaitcha practices in aboriginal culture and other research into group behaviour, it is also a compassionate tale which grips to the very end. 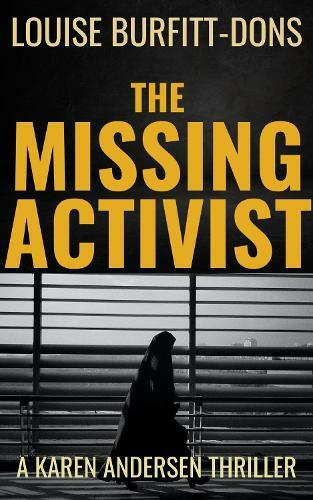 The Missing Activist is a real page turner. Set mostly in London it grabs you pretty quickly. Thought provoking and unique. Loved it.